Evoke memories from your unforgettable Jamaican experience. 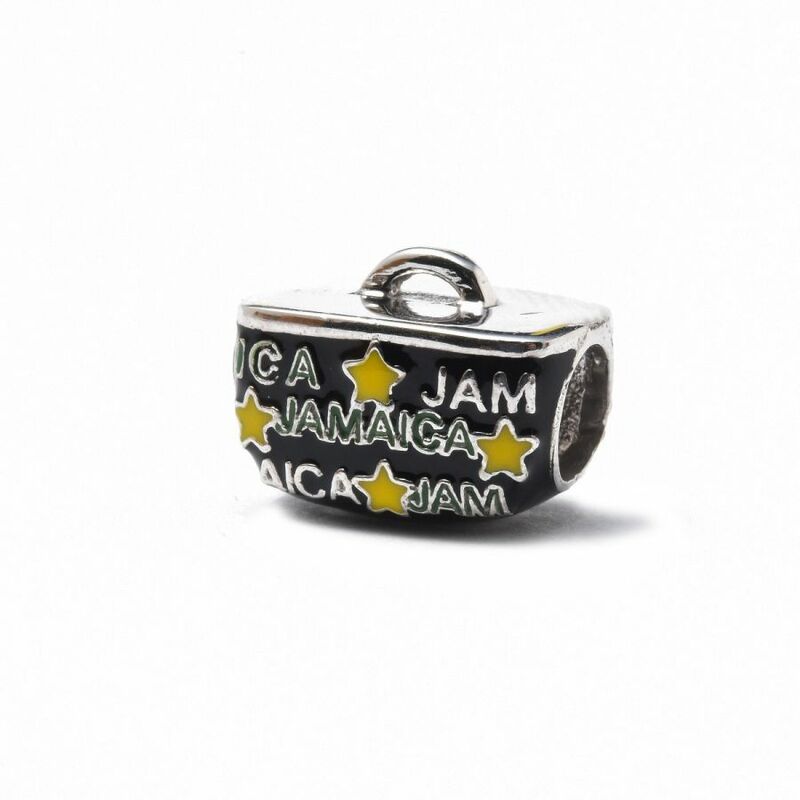 This Jamaica Beach Bag Charm is a high quality sterling silver charm covered in black enamel with yellow stars and “Jamaica” written all over it in green and sterling silver. All charms are approximately 10mm in size with a 5mm diameter hole.